Cree recently purchased Infineon Technologies AG Radio Frequency Power Business. Cree, well known as an LED lighting company, is also becoming an important supplier of semiconductors that play an integral role in solar inverters, electric-vehicle chargers and other clean energy assets through its Wolfspeed business unit. Cree’s recent €345 million ($425 million) acquisition of Infineon Technologies AG Radio Frequency Power Business doesn’t play directly into these markets, but it does increase Wolfspeed’s market share in the two key semiconductor materials that make up an increasing share of grid edge energy devices: silicon carbide (SiC) and gallium nitride (GaN). To be sure, the deal announced earlier this month is more of a play to cement market share and lock in mutually beneficial supply agreements for Infineon’s radio frequency (RF) power business, which makes semiconductors that control the massive broadcast wattages for cellular towers and base stations. This same logic drove Infineon to try to acquire Wolfspeed for $850 million, before the federal Committee on Foreign Investment in the United States blocked the deal early last year, based on national security concerns. Infineon is a German company. But as Cree CTO and co-founder John Palmour said in an interview, the two companies are now a first- or second-place provider of a combination of SiC and GaN materials and components for the latest generations of inverters. They also hold a significant share of the EV charger power converter market and are making first moves into EV drivetrains. “Wolfspeed is really two components businesses,” he said. “All of our customers are working on silicon carbide for power, or gallium nitride for [radio frequency].” This matches the known benefits and drawbacks of these two different wide band-gap switching materials, with SiC largely better suited to heavy power applications, and GaN for more high-value, mid-voltage applications such as radio frequency, radar, or military scanners and jammers. “In silicon carbide power devices, there are market studies that say we are No. 1,” Palmour said. That's largely based on the market for switch-mode power supplies, primarily for servers in data centers, where single percentage points in increased efficiency make for massive reductions in electricity and cooling space. Another market is for solar inverters, where Wolfspeed has long sold silicon carbide diodes to pair with silicon switches, he said. Over the past few years, however, as silicon carbide metal-oxide-semiconductor field-effect transistors, or MOSFETs, have started to become the technology of choice for high-efficiency inverters, Cree has offered its own integrated SiC MOSFETs as well, he said. While SiC is more expensive than silicon, these additional benefits shrink a SiC inverter cost to about 15 percent less than the larger and less efficient competition, he said. Wolfspeed SiC MOSFETs are now in inverters being shipped to market, he said, though he wouldn’t name the inverter partners involved, citing nondisclosure agreements. Electric vehicles are another promising application, Palmour said. 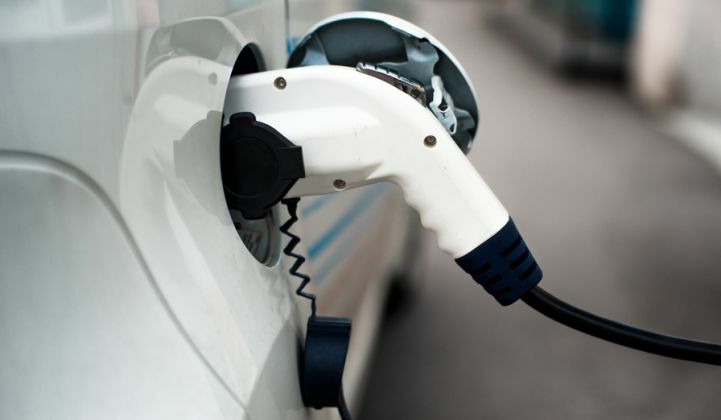 The values of reducing size, weight, waste heat and overall efficiency are multiplied in EVs, and SiC chips are being integrated into both on-board and off-board charging systems, he said. In January, Palmour announced that Wolfspeed and Ford Motor Co. had demonstrated that its semiconductor devices could reduce drivetrain power conversion losses by up to 78 percent, resulting in a 5 to 10 percent improvement in battery efficiency overall. The market for gallium nitride RF systems is smaller, about $348 million worldwide this year, according to market studies Palmour quoted. “We’re currently ranked No. 2 in gallium nitride RF, worldwide.” Military applications, such as multi-phased array radar systems or IED jammers, are another major market for the technology. As for the broader energy implications, Palmour noted that about half of all electricity consumed is used to turn or spin motors, pumps, lifts and other such equipment. While much of this is still done with magnets and wire, SiC and GaN devices are making their way into higher-value motor controls, from robotics to variable frequency drive pumps and fans.